Four years ago today, my family and I were taking a trip to the beach. Since we had to go through the Atlanta metropolitan area to get to the Atlantic Ocean, we decided to visit with family. We were stuck in Atlanta traffic and Michael Baisden interrupted the music to say that there were reports that Michael Jackson was dead. With no disrespect to Mr. Baisden, I did not believe him. Over the years, there had been countless rumors of Michael Jackson’s death and I assumed this was another hoax. Besides, he was the King of Pop, he couldn’t possibly be dead!! We were shocked and hurt. Our entire vacation was filled with his memories and songs. Today is the fourth anniversary of his death. R.I.P King of Pop. May your legacy live on. Where were you when you heard Michael Jackson had died? Tell us your stories. 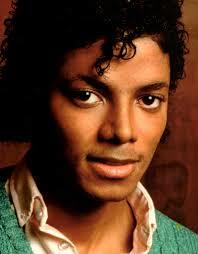 This entry was posted in Pop Culture and tagged 2DopeSistahs, Death, Michael Jackson by Christie. Bookmark the permalink. I was driving from the airport to my mother’s house when I heard it. I didn’t think it was true, so I called and asked a friend if she had heard the news. Then, I called my mother and asked her to turn on CNN, and she confirmed it. It was so sad, not just his death but the the way his life had gone in the years before he died. Talented people are often such tortured souls. I also wish that his family can find peace, especially his kids, who he tried so hard to keep out of the public’s eye. By the way, do you notice which MJ picture I posted? I chose brown MJ. Lol! I almost chose MJ with the nose that he was born with, but I was afraid some people may not know who he was. Lol! I was driving my friend to work after class when I heard the news on the Michael Baisden Show. It was crazy! Then I saw confirmation on 106 & Park and CNN. As a college kid I knew it was real once BET and CNN and FOX reported the same thing! Lol @ “I knew it was real once BET and CNN and FOX reported the same thing!” You couldn’t trust BET alone? Funny, it seems like everyone was listening to Michael Baisden that day.